If the student is unwilling to do this, or not inclined to delve into the nature of this exercise, then more likely than not the student will become bored with the Kata practice and eventually will falter, and his overall Budo practice will thus suffer. This is true due to the fact that without a sense of the spiritual within Kata practice we are left simply with technique, waza. And waza is primarily concerned with efficacy in fighting. This in itself is fine and the student and teacher can spend many hours devoted to trying to derive the proper application (bunkai) of the Kata movements and what might be their fighting significance. Kata movements can often be viewed in several concurrent interpretations all of equal merit and the arguing and comparing of those interpretations can be very interesting and exhilarating. However, the analysis of the bunkai and its importance to the life of a fighter is short lived. However, when your Budo or martial arts training takes on a higher purpose then each step becomes Kata. As a mental exercise, think about the difference between the entrance ritual of the average white belt student and a Shihan Master (above 6th Dan), the difference is obvious even to the uninitiated observer. For the Master, every move has a purpose. His entrance ritual prepares his mind for the Budo training in the same way as the entrance ritual prepares the Zen student and Zen Master for their own studies. Thus, as a beginner or intermediate Budo student you should pay particular attention to your entrance and exiting rituals as it is within these steps that your true training begins. This is mental training in preparation for physical training. It is your spirit awakening to the challenge of Budo training, don’t sleep walk through the steps – create awareness at every move. In many martial arts schools the day’s practice is opened and closed with a short meditation, (Mokuso). Many students do not understand the purpose behind this meditation period and it is often the first thing to be discarded in commercially oriented schools. Students need to be instructed as to the Zen nature of this meditation and they should be instructed as to the proper way to breath and sit during this meditation period. 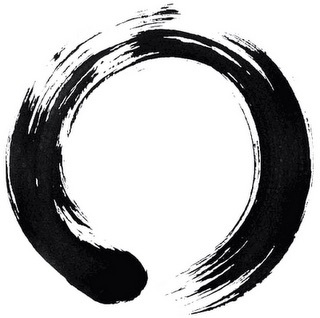 Opening and closing meditation completes the wheel of training for the day and links the concepts of the three minds (Mittsu no kokoro): Zenshin (preparatory mind), Tsushin (concentrating mind) and, Zanshin (remaining mind). That is, the opening meditation is the Zenshin phase of training. The student prepares himself for the day’s or evening’s training. He reflects on what he needs to practice and focus upon, what he needs to fix or improve, he gets his mind and spirit ready for training. Tsushin represents the actual physical training. The mind is focused on the exercises of the day. Distractions are kept to a minimum and the student is fully immersed in his training. Closing meditation is the Zanshin phase of training where the student reflects on his performance for the day. He considers what lessons or techniques were difficult and which went well. He makes mental notes on what he must improve during the next practice session. It is very important that students understand Mittsu no kokoro if they are to create awareness in their Budo and Zen training. Without this understanding and practice students will run the risk of sleep walking through each practice session repeating old mistakes and missing their personal gains. In the above we see that both the Zen student and the martial arts student must be preoccupied with posture in order to meditate correctly. Out of all technical aspects posture is of paramount importance. For the Zen student holding proper posture in Zazen for hours at a time can be daunting and if the posture is incorrect then the meditation will be flawed. The Kata of the martial arts student is a summation of many postures that need to be executed correctly so that mastery of the entire Kata can be obtained. Thus, we see that a quest for enlightenment for both the Zen student and the martial arts student starts with a preoccupation on posture and breathing. So far we have identified what are really lower-level similarities that lay the foundation for a greater comparison of higher level similarities between the two practices. When the basics of etiquette, posture, breathing and reflection are mastered and the koan and kata are practiced several hundreds if not thousands of times then the student may begin to transform. This transformation may be subtle or it may come as a surprise quickly. However, it is only with experience and dedication that it ever comes. When a martial arts student studies a particular Kata over and over and over it is no different than a Zen student studying the same koan over and over in his mind reflecting on it a thousand different ways. Zen koans are riddles and as such they force the student to go beyond logic. The confusing nature of the koans causes the student to become both physically and mentally exhausted as he wrestles with apparent contradictions in his mind. A favorite koan of the author is to ponder on the question: “Before your mother and father were born, what was your nature?” Only once the student has exhausted his logical mind can he or will he be able to reach a point where the intuitive nature of the koan comes through. This occurs only after an exhaustive examination of the koan takes place. The Zen student becomes the koan and the koan becomes him. He lives with the koan day and night trying to grasp its understanding.